Buzzard Buzzard Buzzard possess this vital authenticity that not many acts today can match them on. Their genuine love for what they do comes out in their boisterous and ever theatrical live shows and now also in their recorded output – a rich pot of brazen flamboyance and melodic impressiveness. ‘Late Night City’ – already a strong favourite live for band and audience – cements the group as a great tip for a celebratory 2019. The group, led by the animated Thomas Rees and honed rhythmically by Ethan Hurst, Eddie Rees and Zac White, nurture their music on equal parts golden era songwriting and a contemporary zealousness. ‘Late Night City’ combs through another hedonistic evening that with the turn of a foreboding dawn finds the frontman in a psychedelic limbo of guitar shredding and exasperated harmonies. 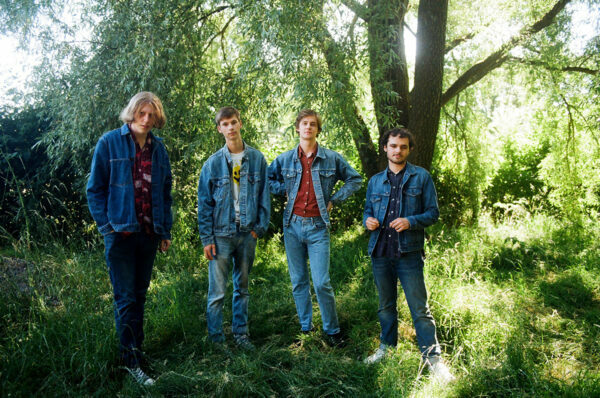 A liberating kick in your dancing shoes to the man, Buzzard Buzzard Buzzard are flying high. We’ve added ‘Late Night City’ to The So Young List on Spotify which you can follow and stream here.